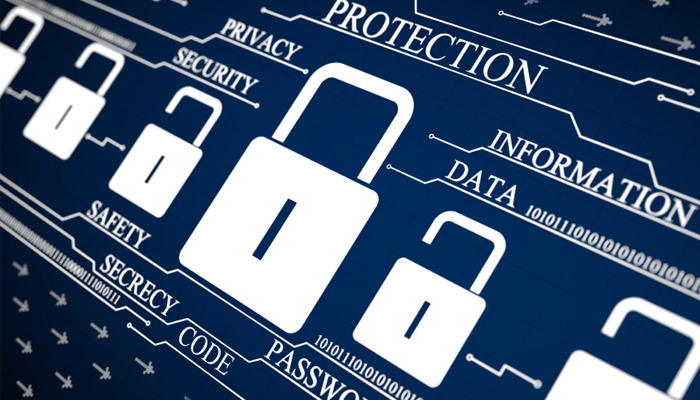 Cyber security is the set of “measures taken to protect a computer or computer system against unauthorized access or attack. Therefore, it is highly critical for enterprises to have an in-depth cyber security strategy and plan in place in order to provide the maximum level of protection from cyber security risks at not just the network perimeter but also the application layer. The first and oldest wave is nuisance hacking, in which there is little material impact to the company. A classic example is hackers defacing your company’s website. More serious and widespread is the second wave, which is hacking for financial gain. As business has migrated to the digital world, criminals have, too. What has emerged is a sophisticated criminal ecosystem that has matured to the point that it functions much like any business—management structure, quality control, offshoring, and so on. This type of hacking now goes beyond blindly stealing customer credit card information or employee passwords. For example, hackers might target a company’s financial function in order to obtain its earnings report before it is publicly released. With such advance knowledge, they can profit by acquiring or dumping stock. Protecting the business from cybercrime is one thing, but companies also must worry about a new type of risk—the advanced persistent threat. If you think the term sounds like it’s out of a spy movie, you’re not far off. This type of hacking is predominantly about stealing intellectual property and typically is associated with state-sponsored espionage. The motives go beyond financial gain. Experts may quibble about the specifics of this type of attack and whether it always has involved use of advanced techniques, but this is a serious and growing threat. It is not an understatement to say that what’s at risk is not only your intellectual property but possibly national security. With so many risks, business leaders may be unsure of where to focus. In our experience, it is crucial to elevate the role of information security in the organization and emphasize the fact that it is not just a technology function. As a make-or-break business issue, it requires a leader who reports directly to a senior executive. The title of the person—chief security officer, chief information security officer, security director—isn’t what matters. Instead, it’s the ability of that individual to bring security issues to the C-suite and help the management team think and talk about how security affects every other business decision. Effective security leaders consistently demonstrate the linkages between security and the company’s goals. They remind the rest of the management team that security is a strategic issue. In the survey, the Front-runner group emphasized this approach by citing client requirements as the driving force behind the company’s information security investments. The other respondents pointed to legal and regulatory requirements as the main justification for information security spending in their organizations. An organization that embraces this mindset, for example, might engage the security leader and the sales leader, together, to consider how better information security can help close or speed sales. They might determine that having well-documented information security controls, processes, or certifications in place enables them to anticipate and address customer concerns immediately when or before the issue first is raised. Some companies we work with find it effective to have security leaders embedded within each business unit. These individuals report to line-of-business heads and work directly with them to evaluate how security can support each group’s business goals. Feel free to contact E-SPIN for any requirement related to CyberSecurity. E-SPIN have being worked with national cybersecurity authority, multinational corporation on the various CyberSecurity Center, Vulnerability Assessment Center, Security Operation Center, Vulnerability Assessment Lab setup, from supply, commissioning, maintenance, knowledge and technology transfer, main/sub contracting to managed services engagement. Here are the top trends they should be paying attention to. Active cyber defence measures-There will be an increased use of active cyber defence measures, especially in Government. For example, organisations under Distributed Denial of Service (DDOS) attack might take offensive measures against the attacker such as automatically shutting down a connection.Active defence takes on another level of sophistication within an IT organisation by dint of the fact that the company will have to have the rigor and structure in place to implement processes that will automatically shut down threats based on pre-defined business rules.Although products to protect against cyber attack have been available for years to automatically block or shut down traffic based on certain characteristics, organisations have been reluctant to use this capability. Actionable Intelligence and The Insider Threat Enterprises such as financial services organisations will put greater emphasis on actionable information to help them identify who their attackers are.Expect to see more eCrimes perpetrated by insiders. This will lead to a greater use of behavioural analysis systems that sit on the network learning what is normal behaviour and what are anomalies.The Insider Threat should also prompt more intelligent use of physical access control. Cloud-based Botnets — The ability to create vast, virtual computing resources will further convince cyber criminals to look for ways to co-opt cloud-based infrastructure for their own ends. One possible example is for attackers to use stolen credit card information to purchase cloud computing resources and create dangerous clusters of temporary virtual attack systems. Search History Poisoning — Cyber criminals will continue to manipulate search engine algorithms and other automated mechanisms that control what information is presented to Internet users. Moving beyond typical search-engine poisoning, researchers believe that manipulating users’ search histories may be a next step in ways that attackers use legitimate resources for illegitimate gains.